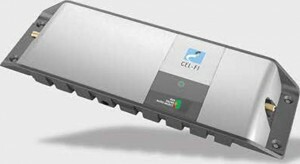 Cel-Fi GO Stationary version is more flexible for advanced installations. It is ideal for high 5Ghz areas and those venues where you need a cabled solution to ensure great 3G/4G mobile reception. No longer will you need to move to a particular spot to be able to make and receive phone calls. 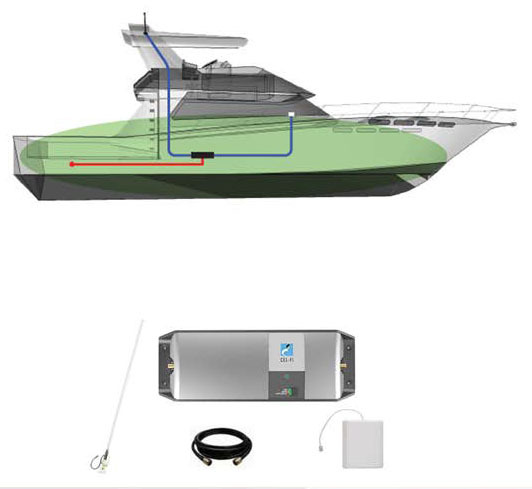 Your Cel-Fi GO Stationary version can be configured to improve the mobile coverage for many types of applications from dongas to caravans, small marine vessels to school demountables. 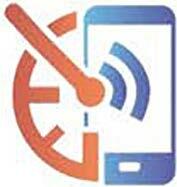 Slow internet speeds on your mobile phone are often caused by low signal. If you suffer from low signal, you will be able to relate to the frustration of trying to access email or the internet. Cel-Fi GO will amplify the available LTE/HSPA mobile signal and increase your data speeds dramatically. Email, internet, video and social networking speeds can achieve up to 4x improvement. Note: The 4G/LTE bands can only be utilised for data (not calls) unless both the smart phone and the local network support Voice Over LTE (VOLTE). Mobile phones use a lot more energy when in poor signal areas. The phone adjusts its power output to compensate in an attempt to boost the poor signal. As a result the phone will consume a lot more battery power. Using Cel-Fi GO, your indoor mobile signal should be high and the battery will last noticeably longer for you to work and talk. Never miss or lose an important call because of coverage issues again. Cel-Fi GO will provide continuous coverage so you can be contacted when required. No longer do you have to put up with calls dropping out or terminating during conversation. The quality of a voice call is usually determined by the phone’s signal strength and nearby interference. With improved signal strength inside your building, the Cel-Fi GO stationary version will provide crystal clear voice quality for your cell phones. Amplifies and disburses a 3G /HSPA/4G (LTE) mobile signal, boosting one frequency band at a time. Provides manual selection of 3G/4G or utilise the auto band selection. Once installed, Cel-Fi GO has Automatic Gain Control (AGC) continuously monitoring system path loss to deliver maximum gain up to 100 dB. Provides a mobile coverage area of 900m2. The 4G/LTE bands can only be utilised for data if both the smart phone and the local network support VOLTE. You will need to check your smart phone to confirm it has VOLTE functionality. External supply: 100 to 240 VAC, 47 – 63Hz. Your Cel-Fi GO is approved if installed correctly. Only qualified resellers who have undertaken product training should perform installation of the Cel-Fi GO. Cel-Fi is the choice of professionals to improve in-building or marine mobile coverage.